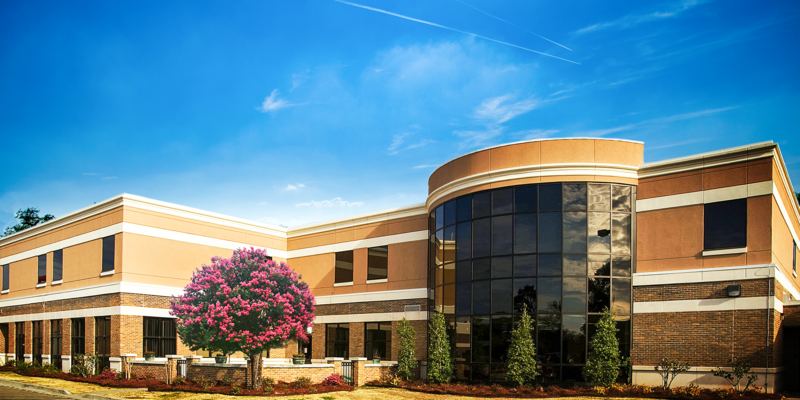 Bacon County Hospital and Health System (BCHHS) a 25-bed, general, acute care hospital, is accredited by The Joint Commission and provides adult and pediatric medical care, surgery, and obstetrics to the residents of Alma, Georgia and surrounding communities. BCHHS also includes several integrated components that deliver a wide range of services, including an 88-bed long term care facility; community care centers providing primary level family care services including episodic and chronic illness care and patient & family education; child development center; and a pulmonary rehab program. Matt Mendez and Lindsay Corcoran, consultants with Stroudwater Associates, worked with BCHHS in 2018 through the Small Rural Hospital Transition (SRHT) project on a Financial and Operational (FOA) Assessment. In September 2018 and again in March 2019, Center staff spoke with Cindy Turner, CEO; Kyle Southerland, Community Health Coordinator; Kyle Lott, Chief Operating Officer/Director of Pharmacy; and DeAnn Flanders, RN, CIC, Director of Quality Management, to discuss the implementation of the consultant recommendations. The leadership team took the time to think about the hospital and community impact of implementing the consultant recommendations, not just checking off the deliverables of the project. BCHHS used their project action plan as a base for the revamp of their strategic plan and created a Balanced Scorecard through SRHT’s Learning Collaborative. They attribute this to some of the success and sustainability of the project. Q: Tell us about the implementation of this project and what kinds of things you found to be successful. A: To grow primary care, BCHHS added a nurse practitioner (NP) who saw close to 100 patients in the first month. Three new primary care physicians (PCP) will be added this summer, including one PCP they put through medical school. More patients are now using the clinic for their care, instead of utilizing the hospital emergency department. BCHHS was recognized as an “Exemplar Practice“ and invited to the 2019 CMS Quality Conference to share what they are doing at the primary care level. A large number of community leaders attended a community meeting to provide input on how to improve access to care, and through a stabilization grant from the GA Department of Community Health, BCHHS was able to extend clinic hours on evenings and weekends. The community group was involved throughout the decision-making process, fostering new community partnerships. This consistent engagement has led to more successful meetings to plan for the Community Health Needs Assessment and address community concerns such as occupational health and better serving the Hispanic population. The hospital is also partnering with the local schools to improve access to pediatricians. BCHHS focused to promote and build awareness, both internally and externally, of service offerings and their quality performance. A marketing consultant joined the hospital and they created a branding team of staff to be champions of the recently updated strategic plan. The inclusion of frontline staff as part of the initiatives is a key piece. The team first focused on primary care services and the emergency department (ED) navigation program. Using their own staff, materials and videos were created for all service lines. BCHHS is also ready to revamp their vision, mission, and branding and will be rolling it out with staff soon. To grow their swing bed program, BCHHS built a new medical record and are documenting their goals with an activities chart. Education was provided about different ways to assess and document patient goals and timeframes. The hospital reports patients who were referred out are returning for swing bed. The average daily census (ADC) has risen from .6 to .9. Leaders note that this rise in ADC is important because, at the same time, they are keeping patients fewer days to reach their goals. They plan to start a new marketing campaign and are launching a new navigation system called “Your Passport Home.” All swing bed patients get a “You’re in My Care!” t-shirt. BCHHS continues to expand its telehealth and telemedicine services. They recently secured a USDA grant to extend telemedicine. They currently offer it or stroke and cardiology services. At the start of the project, BCHHS set a goal to increase upfront point-of-service collections to $1 million. They have surpassed their goal and are currently at $1.3 million! They implemented discounts when patients pay their total bill upfront and trained staff about collecting deductibles so that those could be addressed at the time of service. Patients in the ED are directed back to the business office after receiving care. All teams worked together to decrease days in accounts receivable and decrease denials. The success of this initiative required a proactive effort on diagnostics and consistent, upfront communication with patients by all admission clerks. BCHHS was named a Top 10 Hospital through the Georgia Hospital Association because of zero harm to patients. Their HCAHPS revealed 88% would recommend the hospital. BCHHS has embraced LEAN processes as an operating tool throughout the organization. Several directors have already earned their green belt, with the goal is to have every director certified. They have used Lean to drive a number of department improvement projects. Q: What are the ways this project has impacted your hospital culture? A: The SRHT project increased understanding of the new system. SRHT was combined with other projects such as CATAPULT, a GA DPH initiative aimed at implementing the CDC’s National Diabetes Prevention Program throughout the state, offered to staff first through an employee wellness project and then to the community. All of BCHHS’s projects strategically lead to population health by providing the community with tools they need to take care of their health.